It’s been a while since I shared a moodboard with you guys! I’ve got a few up my sleeve, I’m excited to share them on the blog over the next few weeks! This lovely board is for a fun event planner who’s tagline is “memorable events filled with ridiculous amounts of joy.” How cute is that? She’s drawn to casual, outdoor weddings, and we talked about creating a clean site for her with touches of both shiny and shabby chic. Sign me up! 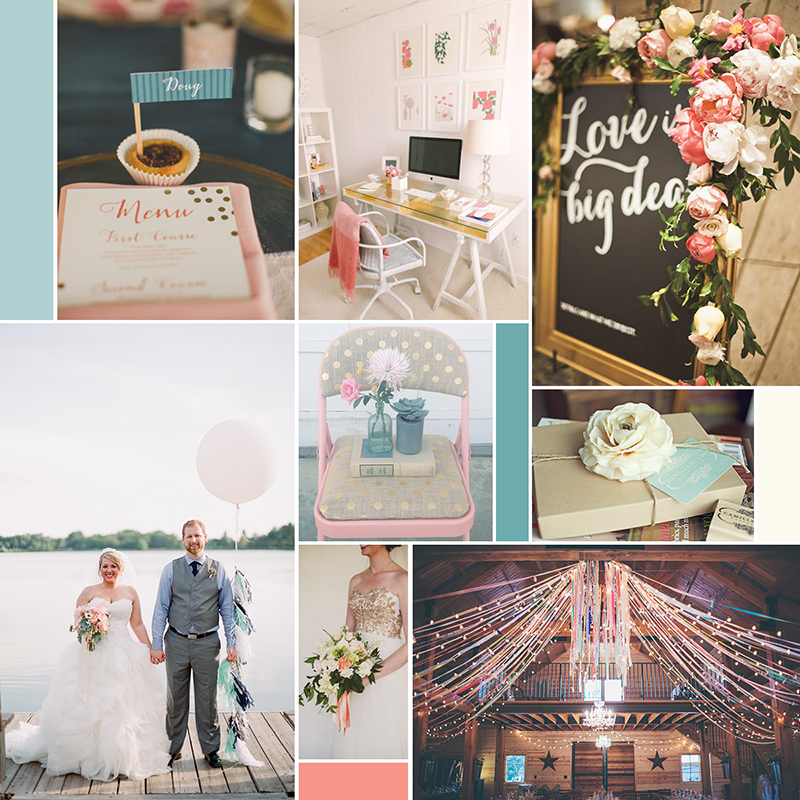 I really love the colors in this moodboard :) it gives me such a happy feeling. Wow, love that barn image! Can’t wait to see what comes from this!